This program has been specially developed to guide and empower children of school age in the organization of their energy, thoughts and emotions. Through exploring different aspects of reality and getting acquainted with key specifics of their energetic nature and their own lattice, children become much better equipped to develop their fullest potential. Today’s children are faced with significant challenges as they balance their often remarkable multi-faceted intelligence with the demands of a society and family structure in constant and rapid transformation. Issues of learning preferences, identity seeking and family stress as well as the high sensitivity levels and high levels of stamina that many children exhibit converge in creating life conditions that make an advanced, love-filled technology a perfect accompaniment for our young ones in their development. 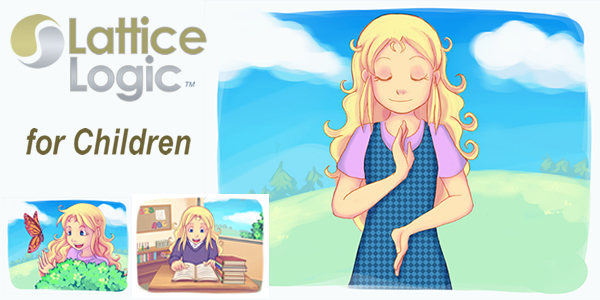 LatticeLogic™ for Children brings playful methodologies filled with stories, games and experiences, which serve to facilitate as the children learn easy-to-practice techniques to work with their energy, making it possible to reach higher levels of balance and focus. This in turn enables them to better develop harmonic and nurturing relationships in their school life, with friends and within their families, generating favourable conditions for a healthy emotional development and learning process.